The place was very clean and new. The remodeling of the lobby was not an issue. Great service and very clean. I’d definitely stay here again! Can’t say enough about the staff. They were all very very helpful and very very very friendly!!! Room was clean , alarm clock made a noise so we unplugged it but room was cozy and clean . 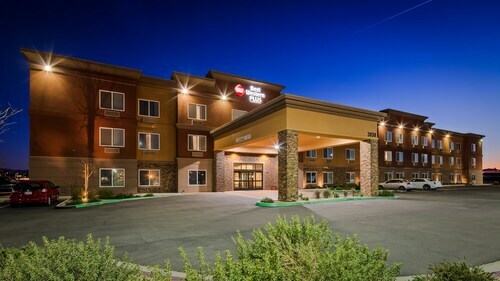 Hotel is close to the beautiful Red Rock Canyon state park and nearby a Thai restaurant that serves good Thai foods. This hotel is not accommodating at all when it comes to extending check out time. I had my wife and toddler with me but they didn't care or want to know that we needed a bit of extra time. Nice hotel and good location. Need to work on the cleaning a bit more tho. Our bathroom wasn’t the cleanest. Simple, inexpensive, friendly...it has become our go-to rest stop in Mojave. So you're pondering a trip to Mojave? If you want a place to call home that's located near some well-known Mojave attractions such as Edwards Air Force Base, just go to Orbitz, choose your travel dates, and voilà! Review the list of hotels and other accommodations to find those that are close to what you want to see while you're visiting. 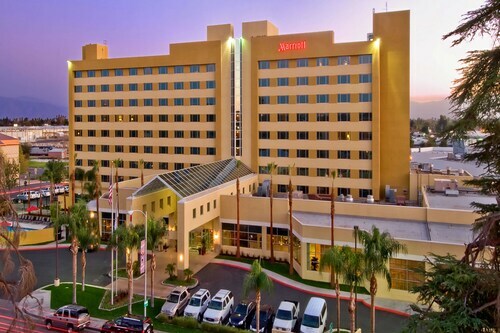 We make it easy to find a convenient flight into Palmdale, CA (PMD-Palmdale Regional), which is 30.5 mi (49 km) from the heart of the city. Find your ideal flight in a flash by using the filters on our site to narrow down your search. 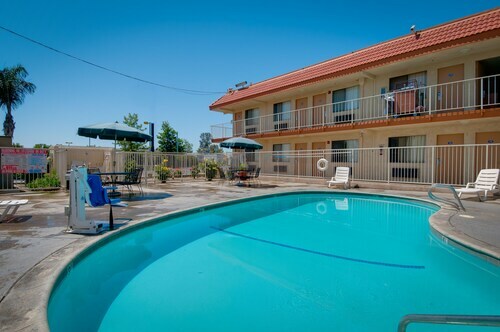 Go for a swim when you stay at one of these Mojave properties, liked for their pools. What's the Weather Like in Mojave? Everything was excellent . I’ll stay here again! Very pleasant atmosphere. Great location, staff and (nonsmoking) room. Bathroom had a stark cigarette smell upon entry. Staff offered some spray to mask but couldn’t offer another room. It was exactly what I expected for the price. I just needed a place to sleep before a job interview the next morning. It wasn't the hotel's fault but some bozos Car Alarm kept going off for over an hour at like 2 in the morning. It was in the next parking lot over so the hotel couldn't do anything about it.